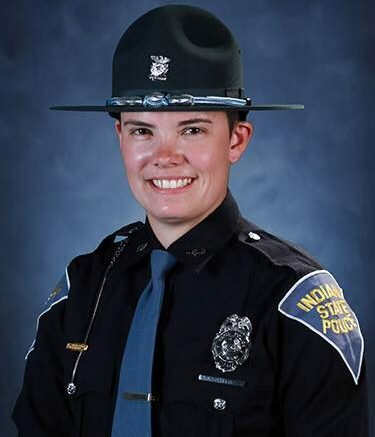 On Tuesday around 4:30 p.m., Trooper Kaitlyn Greene was patrolling Orchard Road, near County Road 400 North, when she was frantically waived down by the wife of a kayaker, who was nearly submerged underwater and clinging to a metal culvert pipe. Initially, two kayakers, husband and wife, were kayaking in an open field that was flooded. Due to the tremendous amount of recent rainfall, the husband’s kayak was swept through a nearby culvert. 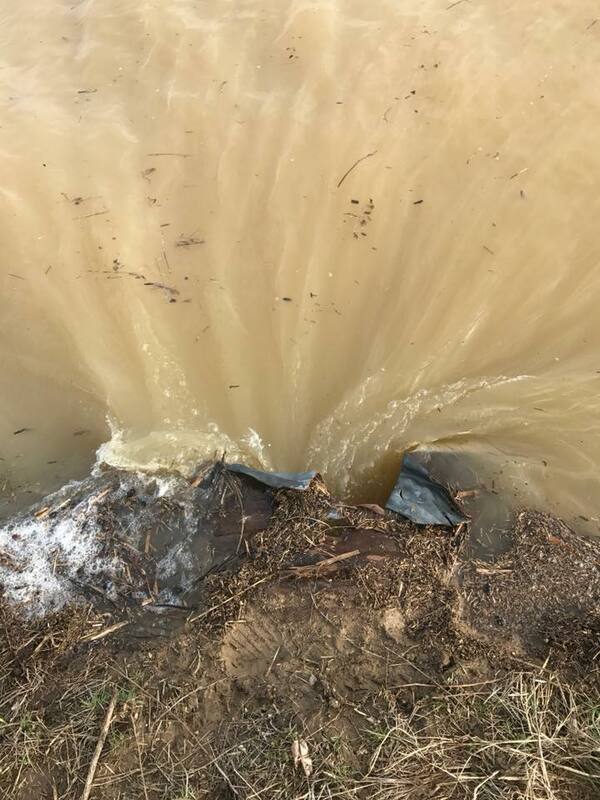 The kayaker was able to grab the top of the pipe before he was swept underwater and through the culvert. When Greene arrived, the kayaker was clinging to life, only able to keep his head and arms above water. The kayaker’s legs and upper torso at this point were completely submerged underwater and inside the culvert. Greene being an Underwater Search and Rescue Driver, quickly grabbed her life jacket and water rescue throw bag. Greene initially tried to place her only life jacket on the victim, but was unsuccessful. Due to the speed of the current, the victim was barely able to hold onto the pipe with both hands. Greene was ultimately able to secure her throw bag rope under the victim’s armpits and around his back. Showing signs of fatigue, Greene was becoming concerned that the victim would not be able to hold onto the culvert much longer. Fortunately, two unknown motorists stopped to assist. Greene instructed one citizen to hold the rope attached to the victim, while she pulled the victim from the pipe and to safety. The second good samaritan held onto Greene, so she wouldn’t fall headfirst into the water. Greene treated the victim at the scene for cold water exposure while Spencer County EMS personnel were in route. The victim was treated and released by Spencer County EMS. Greene suffered scratches to her right hand from the sharp irregular edge of the metal culvert. Greene is a Spencer County native, and 3 year veteran of the Indiana State Police. Greene graduated from the Indiana State Police Recruit Academy on December 23rd , 2014. After graduating the Recruit Academy, she was assigned to the Jasper Post to patrol primarily Spencer County. Greene was selected to begin her dive training in March, 2016. After completing dive training in May, 2016, she was assigned to the Indiana State Police South Zone Dive Team, as an Underwater Search and Rescue Diver, in addition to her patrol duties. Be the first to comment on "Kayaker Saved by Indiana State Police Trooper"